It’s been a little more than a year since Virgin Galactic performed the first powered flight of SpaceShipTwo (SS2) in the skies above Mojave Air and Space Port in California on April 29, 2013. Since then, though, SS2 has made only two more powered flights: September 5 and January 10. While Virgin Galactic officials said at public forums in recent weeks that SS2 powered flights would resume soon, a new report suggests it may be some time before SS2 returns to the skies, let alone makes it into space. According to a report in The Sunday Times of London today (subscription required), SS2’s carrier aircraft, WhiteKnightTwo (WK2), is grounded because of an issue with the aircraft’s carbon composite wings. The plane had been undergoing an annual inspection, as well as a replacement of its landing gear, when “defects” were found in the wings. The Times report cited sources that described the defects as “multiple cracks,” but Virgin Galactic CEO George Whitesides told the paper that they were “adhesive imperfections” created by extra glue sticking out where sections of the wing were joined together. The co-author of the Times report, Doug Messier, publishes the Mojave-based Parabolic Arc that has closely tracked Virgin Galactic’s progress and setbacks. In a post this morning, he offers some more details about the wing issue, reporting that sources describe them as cracks (not, he notes, “imperfections”) running along the wing spars. “One particularly worrisome aspect is that nobody knows why or when they occurred,” he writes, adding that there is “some comfort in the repairs being made” because of Scaled Composites’ experience in repairing composite aircraft. Be they cracks or imperfections, Whitesides said they had only a “negligible impact” on the strength of WK2’s long wing and the aircraft’s flying performance. The imperfections had been “buffed out” and the plane is scheduled to resume flights in the first week of June. The Times article also raises another concern about Virgin Galactic. A copy of the customer contract obtained by the newspaper states that the company only guarantees to take people to an altitude of at least 50 miles (80 kilometers) above the Earth. That is below the “Kármán line” of 100 kilometers that used as the de facto boundary of space by many organizations, including the X PRIZE Foundation, who ran the Ansari X PRIZE won by SpaceShipOne in 2004. It’s also below what Virgin Galactic officials have publicly said as well, indicating that SS2 flights would go to at least 100 kilometers. The 50-mile mark, though, is the boundary used by NASA and the US Air Force in awarding astronaut wings, and the company told the Times “its goal was to reach 60 miles,” just below the 100-kilometer mark. Virgin Galactic officials have, publicly, indicated that the company remains on track for flying into space later this year and beginning commercial flights before year’s end. Speaking at the American Astronautical Society’s Goddard Memorial Symposium outside Washington, DC, on March 6, Whitesides said that the company had been focused on outfitting the interior of SS2 while WK2 underwent an annual inspection. “We’re doing the groundwork for the fourth powered flight,” he said at the time. “We’ll have a few different flights before we get to the space altitude flight.” He didn’t specify when that next powered flight would take place. At the Space Tech Expo conference in Long Beach, California, on April 3, Virgin Galactic vice president for special projects Will Pomerantz also didn’t provide details on when those powered test flights would resume, other than in the near future. “Our flights are scheduled to begin towards the end of this calendar year,” he said of when commercial service would begin. Those initial commercial flights, though, may not carry tourists. Later in his Space Tech Expo presentation, Pomerantz said that “some of our first flights, perhaps our first commercial flights period, will be for NASA through the Flight Opportunities program, flying engineering and technology demonstration payloads.” He said later those flights would be dedicated flights—that is, no mixing of tourists and experiments—which could allow the company to build up more flight experience before ramping up tourist flights. As recently as last week, Virgin founder Sir Richard Branson said the company was still on track to begin commercial SS2 flights—with him on board the first one—this year. “As always, safety will ultimately call the shots, but right now, I’m planning to go to space in 2014!” he told Reuters last week in an email. “We’re late, there is no question,” he added. Well said, manned space is no place to get GO fever. One clarification: the static fire I witnessed on Thursday was in all probability a nylon-nitrous oxide motor. Scaled is developing it as an alternative to the Sierra Nevada rubber-nitrous oxide engine that SpaceShipTwo has flown with to date. My sources tell me the nylon engine would be installed on the second SpaceShipTwo built. The first SpaceShipTwo is being modified to accommodate a modified SNC rubber-nitrous engine. The mods will allow them to fire the engine much longer than the 20 seconds they have done in flight thus far. It not clear whether there has been continued ground testing of the modified rubber engine, although it would make sense. I haven’t seen any firings, but that doesn’t mean they haven’t been done. The RM2 hot fire summaries page on the Scaled website is so lacking in detail that it’s impossible to tell what they’ve tested or the lengths of the burns. 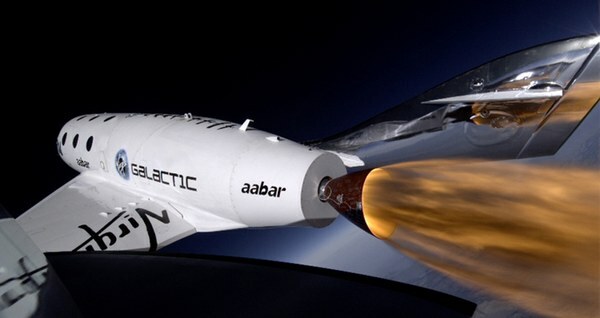 The current four month gap in flights was originally driven by the engine mods to SpaceShipTwo. And there was a need to replace the landing gear. Then the cracks in the wings were discovered. One source told me that VG’s inspection of WK2 was to satisfy the FAA. When does Virgin Galactic plan to return the security deposits of the passengers it has pre-sold tickets to? Can they just keep the money forever? Seems like they are about five years behind schedule to fly per their promises to sell tickets. We keep hearing talk of a Grand Jury being sequestered to look into the many issues surrounding Spaceport America and VG and the word is that VG has so far refused to return ticket deposits. Are the deposits in an escrow account and protected or has the money gone directly to Branson and been spent on other activities? Source on this? Their website clearly states that deposits are fully refundable. Seems like they’re opening themselves to some legal issues if they say they’ll refund tickets but then won’t. Also, it seems like they would take that statement down if they had no intention of fulfilling it.